Data sources: International Institute for Democracy and Electoral Assistance, at <https://www.idea.int/data-tools/data/voterturnout>, Central Electoral Commission of Russia, at <http://www.izbirkom.ru/region/izbirkom>, and the CD-rom Rossiiskievybory v tsifrakh i kartakh (Mercator and IGRAN 2007). 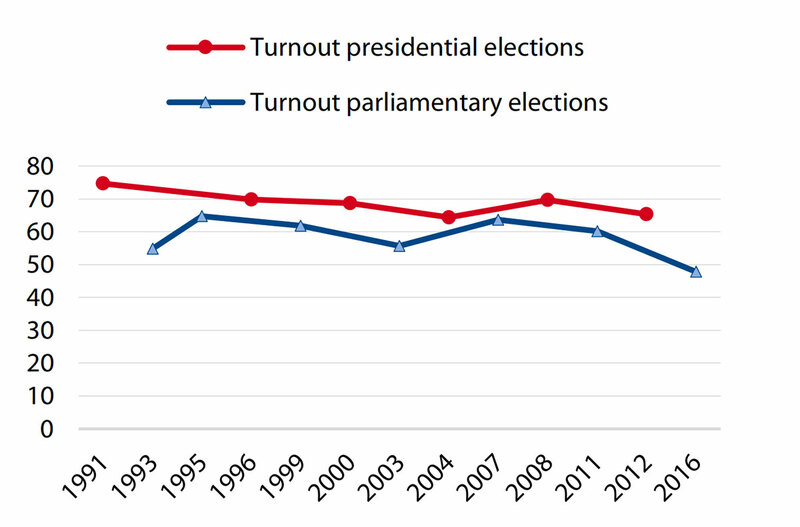 This graphic tracks overall voter turnout in Russian presidential and parliamentary elections from 1991 to 2016. To find out more about voter turnout trends and electoral mobilization in Russian federal elections, see Inga Saikkonen’s contribution to the latest edition of the Russian Analytical Digest here. To check out the CSS’ full collection of graphs and charts, click here. This three-part series was originally published by the Lowy Institute’s The Interpreter between the 16th and 18th August 2016. When US Secretary of State John Kerry visited Moscow in March, looming over his meeting with Russian President Vladimir Putin in the Kremlin was a statue of Russian Emperor Alexander II (1855-81). Known as the ‘Tsar-Liberator’, Alexander freed the serfs, introduced trial by jury, relaxed press censorship and created elected regional assemblies that might, but for his assassination, have laid the foundation for bolder constitutional experiments. But isn’t Alexander the wrong autocrat? Russia, we are told, is in the grip of Stalin-mania. Over the past 12 months, The New York Times, The New Statesman, The Independent and Foreign Policy have reported on an unspoken Kremlin policy to rehabilitate the Soviet tyrant. 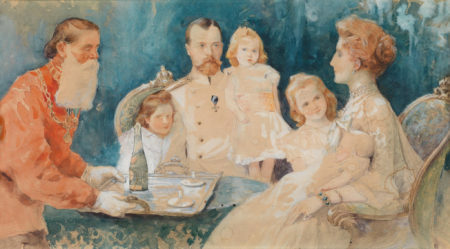 Dubbed ‘re-Stalinisation’, its alleged aim is to return Russia to the fear and suspicion that characterised life until Stalin’s death in 1953 and to secure what are asserted as having ever been Putin’s twin goals: the consolidation of absolute personal power and restoration of the Soviet Union (or something like it) in Eastern Europe.